The new vintage of our hugely popular southern French rosé has now arrived. 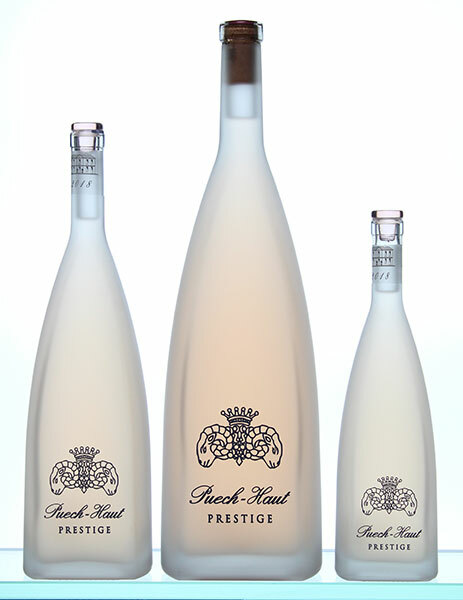 The 2018 Prestige Rosé from Château Puech-Haut is the eighth vintage that we have imported and the quality and consistency is as striking as ever. What is even more striking this year is the new bottle - an elegant new look for this brilliant rosé. As always, we are confident that this wine would beat most (if not all) others that you may be contemplating buying. We haven’t considered buying any other rosé at this price point as this delivers year in, year out. We have sold over 6000 cases of it since we started working with Puech-Haut, with many of you buying it religiously each vintage. The style here is one of a lighter, Provençal rosé with a specific focus on freshness. It really does make the perfect garden drinking during these overdue sunny days and we’re assured that temperatures look good for the coming weeks. There cannot be many (if any) finer rosés out there that offer better value for money. If ordered and paid for by midday Thursday, we can deliver the wine to you in time for this weekend (inside the M25 only) or in time for Easter (outside the M25). We have a few cases of magnums and double magnums left in stock too. However, quantities of these are limited so there may be an additional wait for more which are currently en route from the Château. "Pretty, vibrant notes of white peach, white flowers, and salty minerality all emerge from the 2018 Prestige Rosé. Made in a crisp, elegant style, it stays balanced and layered on the palate, and is going to be an incredibly versatile rosé to drink over the coming 6-12 months. The blend is 60% Grenache and 40% Cinsault brought up all in tank." "This latest incarnation of our ever-popular rosé not only looks impressive in its new packaging but, most importantly, the liquid in the bottle lives up to expectation. On the nose, red fruits jump from the glass along with fresh flowers and a hint of boiled sweets. The palate has lots of ripe peaches and strawberries, all supported by mouth-watering acidity that continues through to an impressive finish. For those that want fruit, there is plenty here but as always, it is kept in check by an excellent level of acidity and prominent minerality running through the wine. New look, same quality."